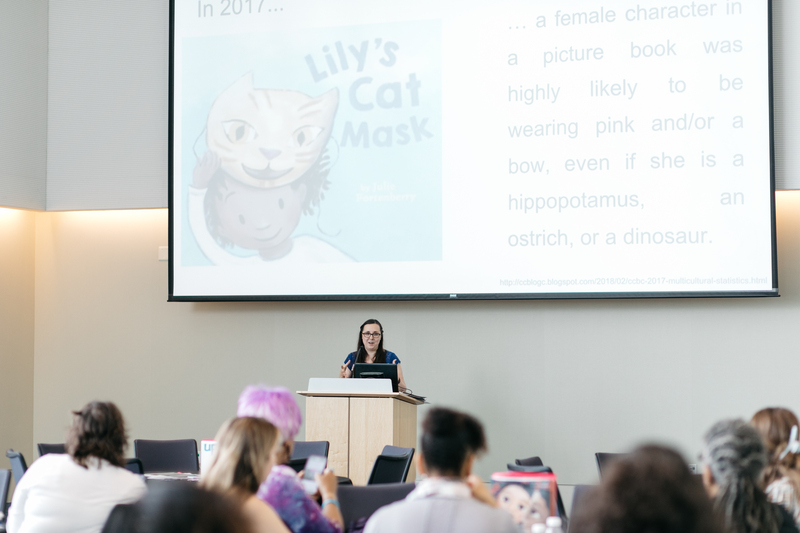 When evaluating 700 picture book titles published in 2017, the Cooperative Children’s Book Center at the University of Wisconsin-Madison found that “a character in a picture book was four times more likely to be a dinosaur than an American Indian child” and “was two times more likely to be a rabbit than an Asian/Pacific or Asian/Pacific American child” (Horning, et al). 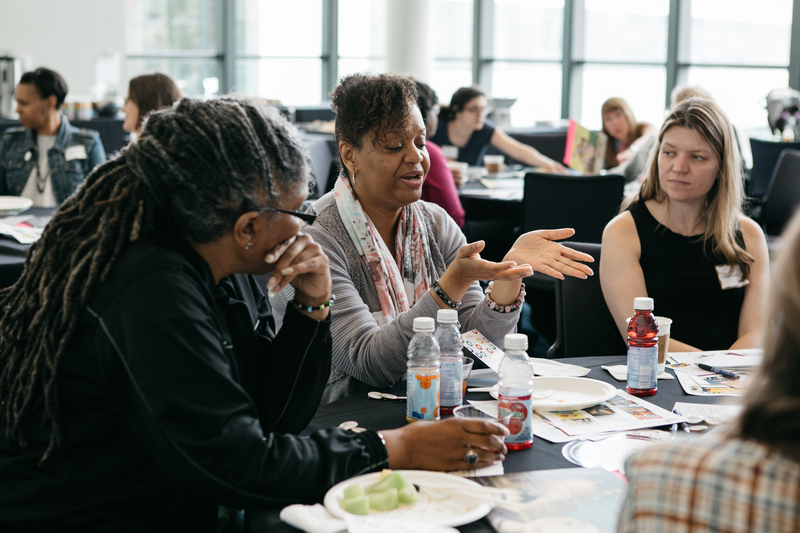 Even though the #WeNeedDiverse books movement has been growing since Walter Dean Myers asked “Where Are the People of Color in Children’s Books?”, there are still many underrepresented groups in the genre four years later. 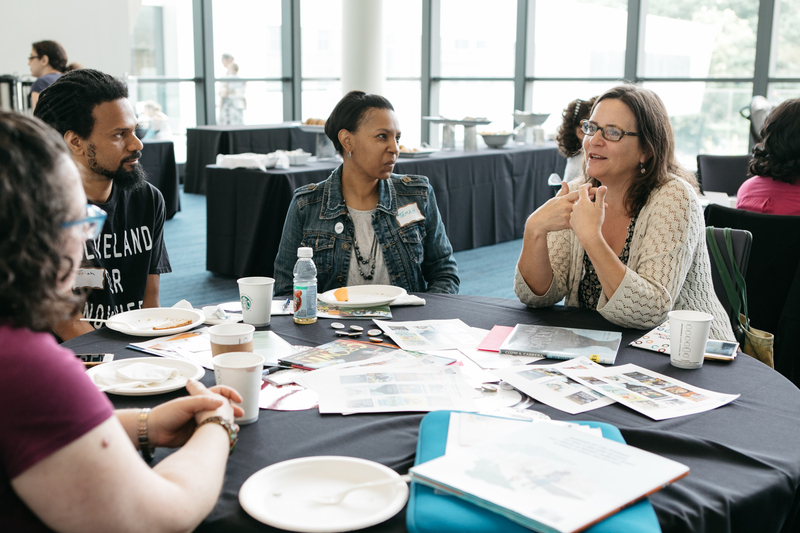 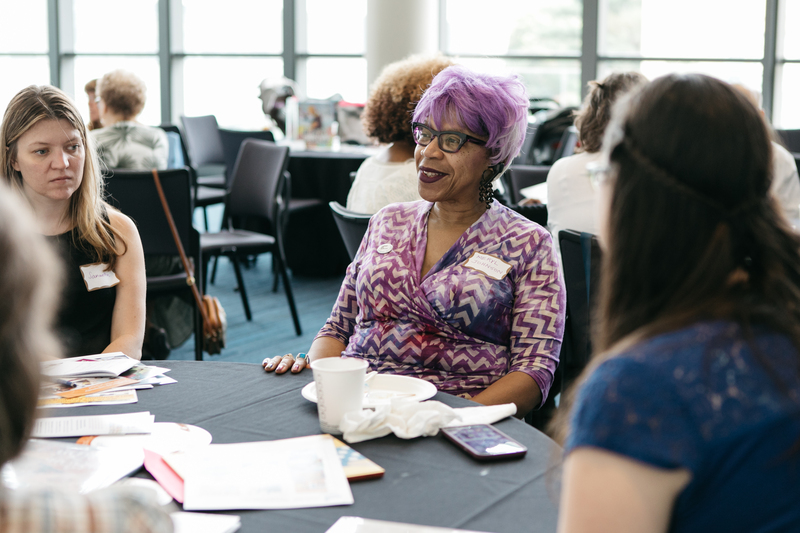 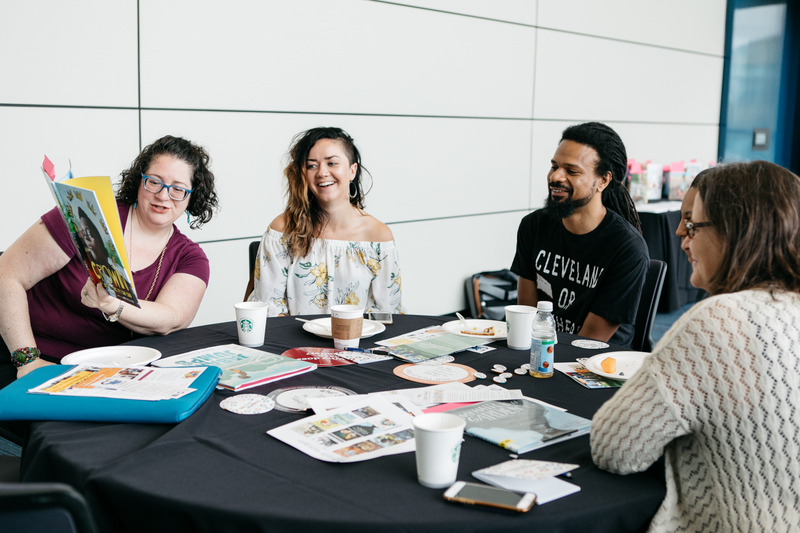 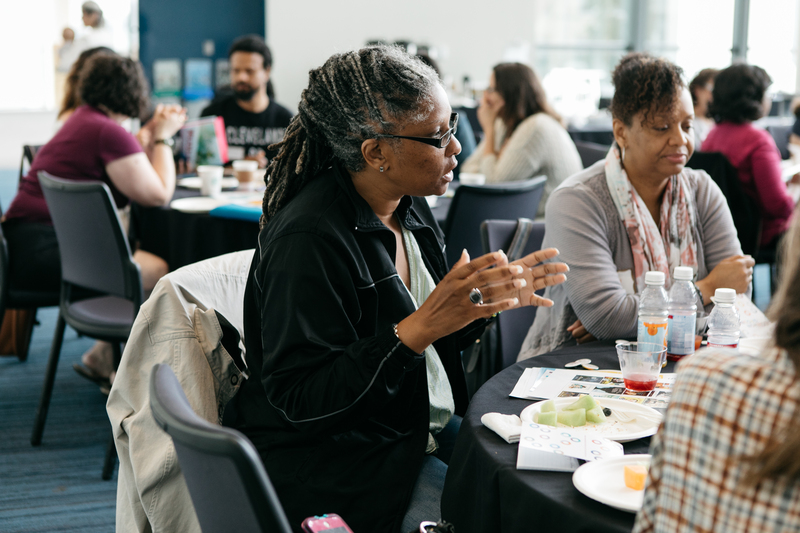 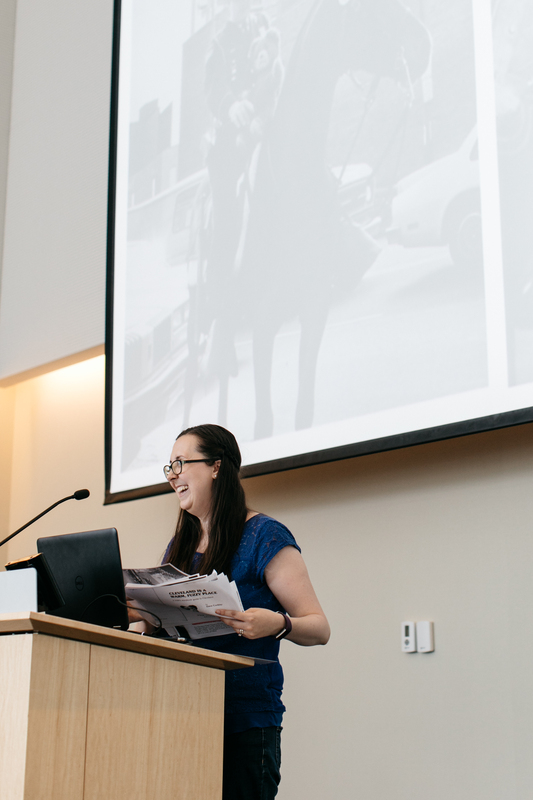 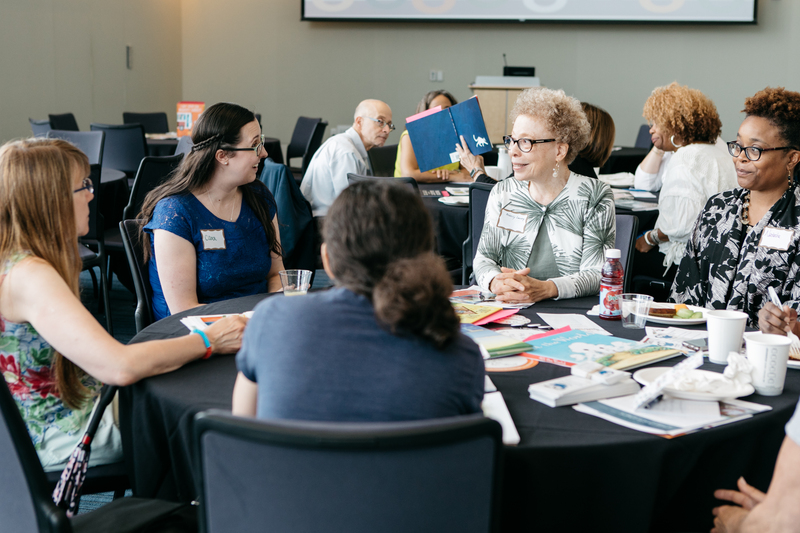 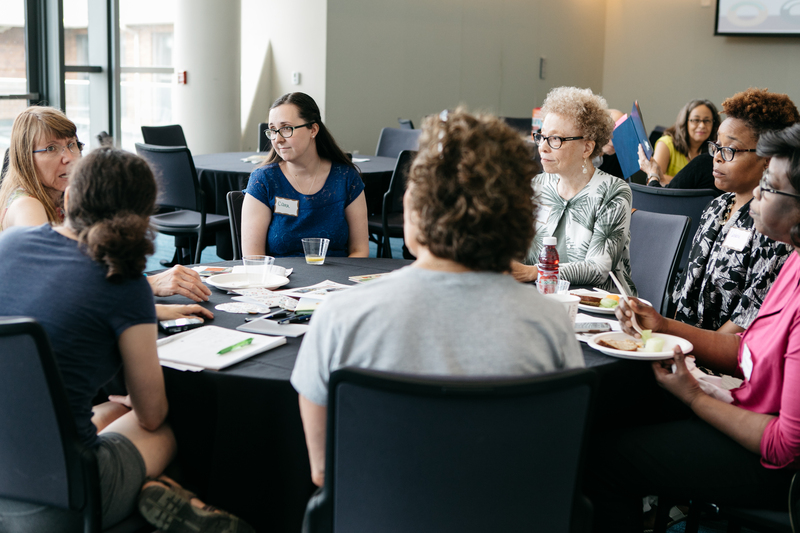 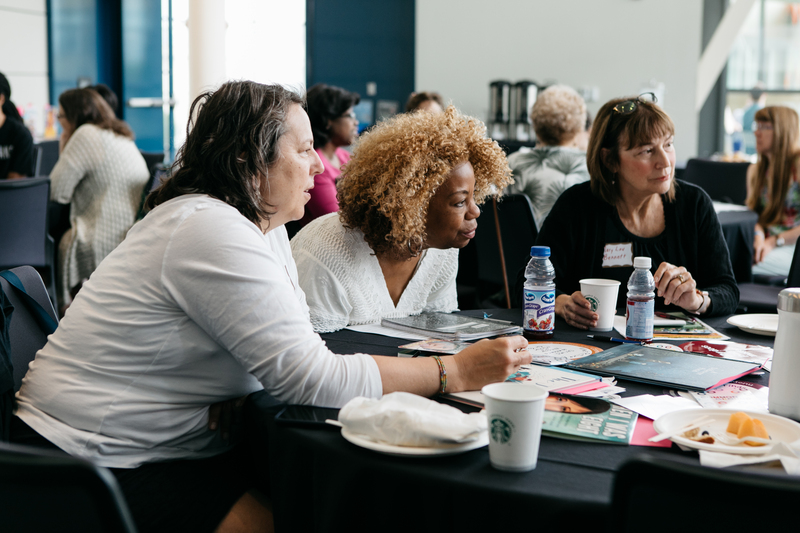 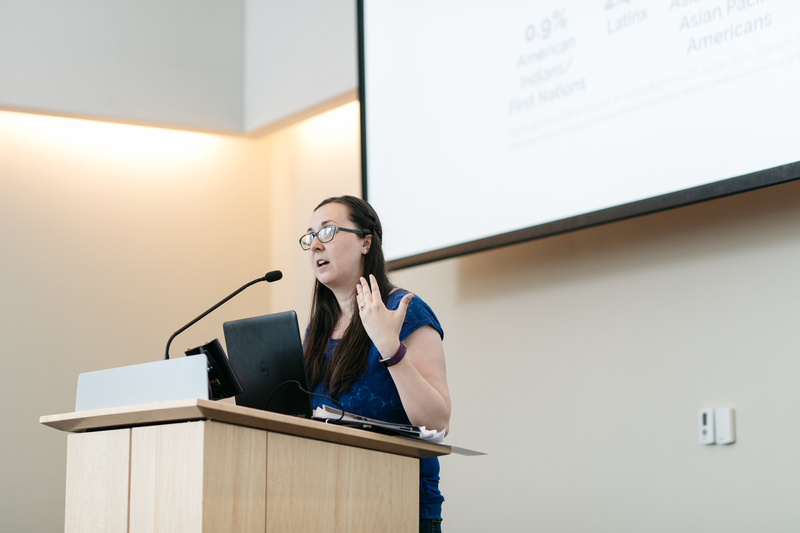 On Sunday, June 24th, the Schubert Center hosted 40 participants to discuss diversity in children’s literature as part of the Cleveland Foundation’s city-wide Common Ground conversation initiative. 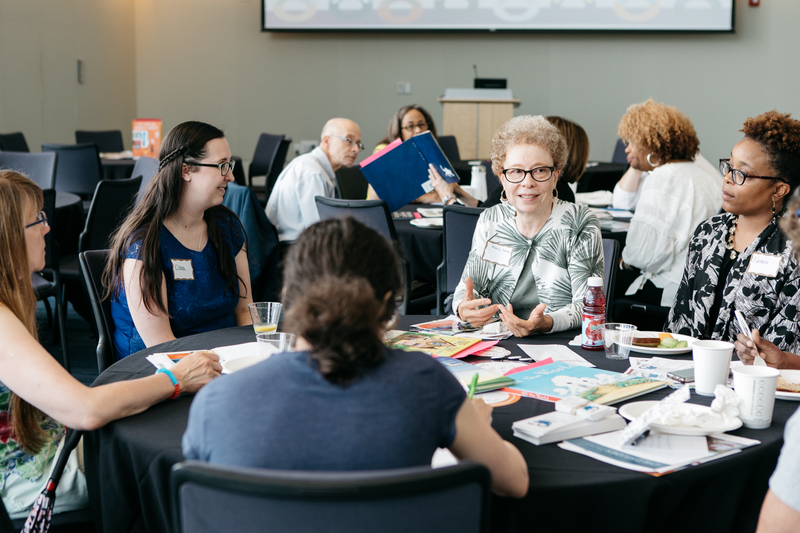 Gathered together were non-profit leaders dedicated to supporting literacy, librarians seeking for books for their underrepresented patrons, educators and scholars who use picture books in their classrooms, and community members interested in this topic and committed to social justice. 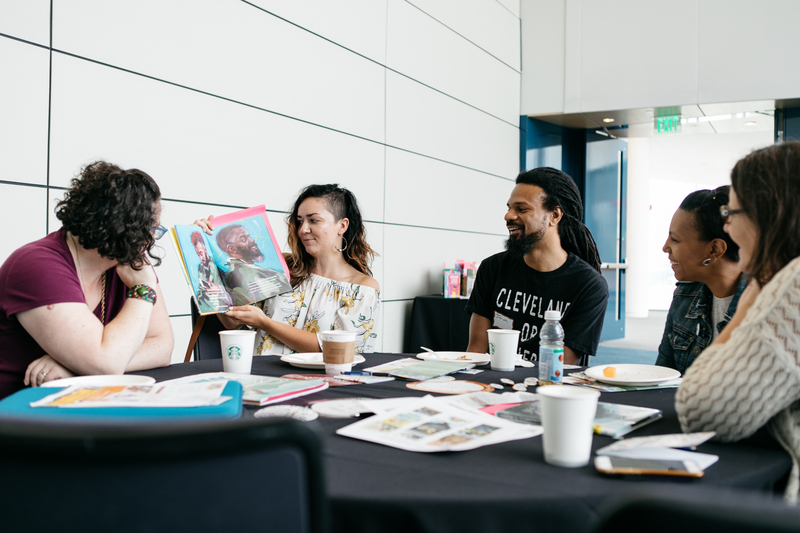 We shared over 70 diverse picture book titles and read books like Juana Martinez-Neal’s Alma and How She Got Her Name, Derrick Barnes & Gordon C. James’ Crown: An Ode to the Fresh Cut , and Minh Lê & Dan Satant’s Drawn Together. 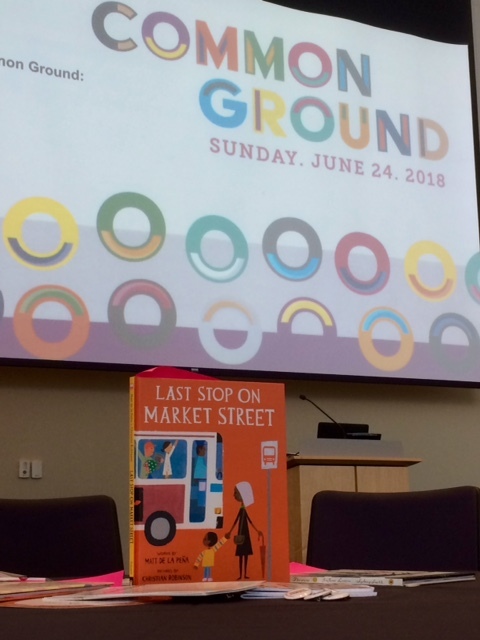 The theme of the day was “Place,” and participants answered the question “Why does place matter?” as well as learned more about the #WeNeedDiverseBooks movement. 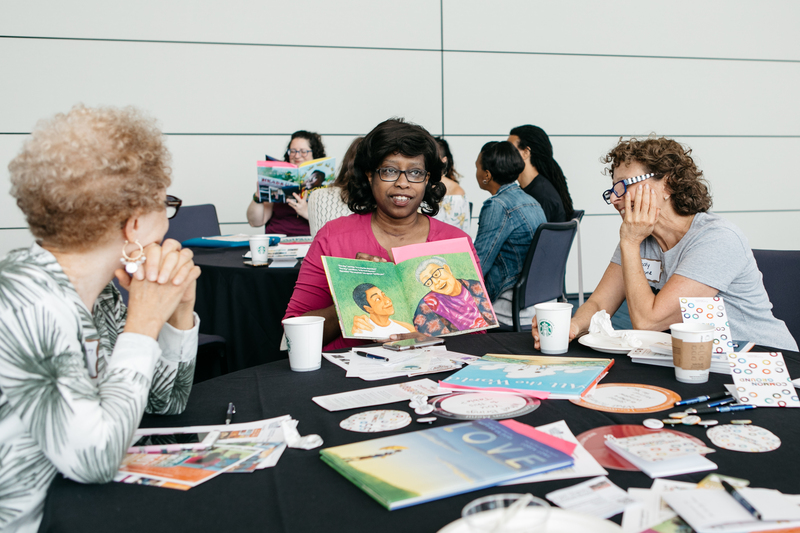 As renowned scholar Rudine Sims Bishop explains: “We need diverse books because we need books in which children can find themselves, see reflections of themselves. 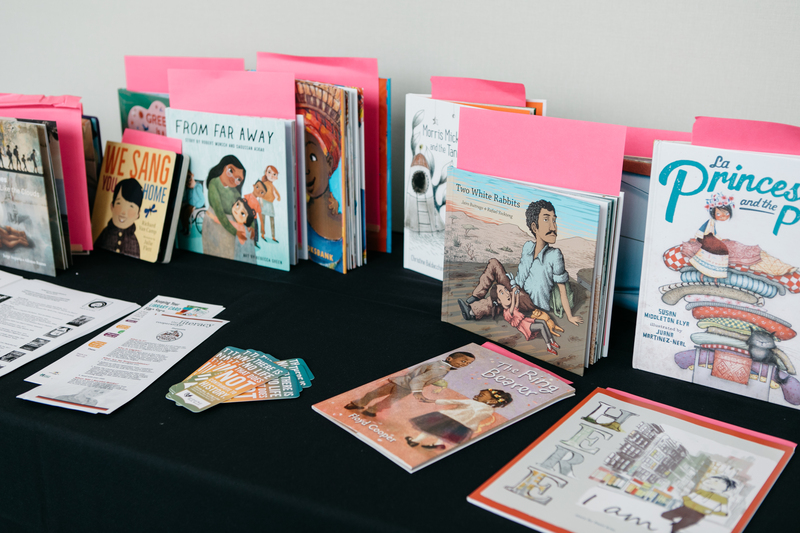 But books can also be windows. 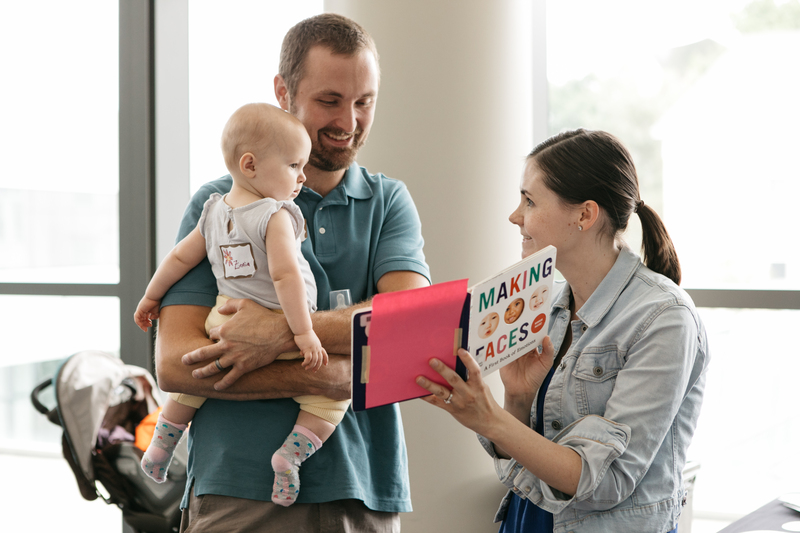 And so you can look through and see other worlds and see how they match up or don’t match up to your own. 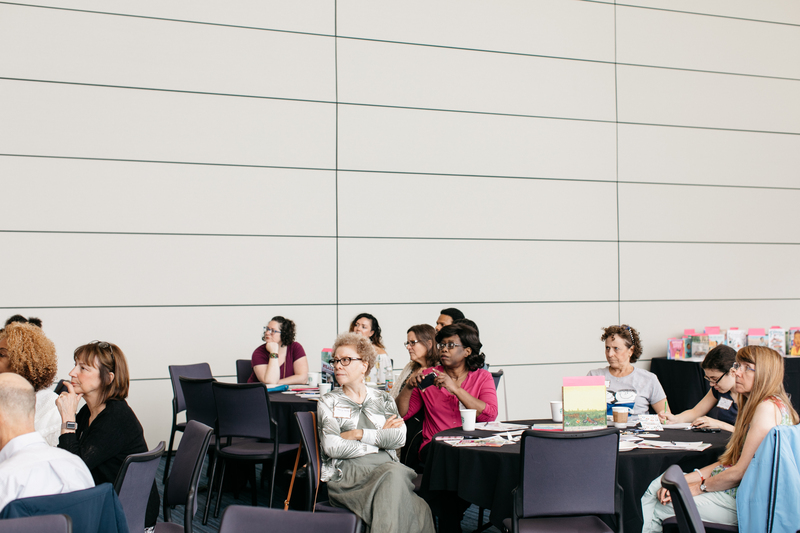 But the sliding glass door allows you to enter that world as well” (Bishop). 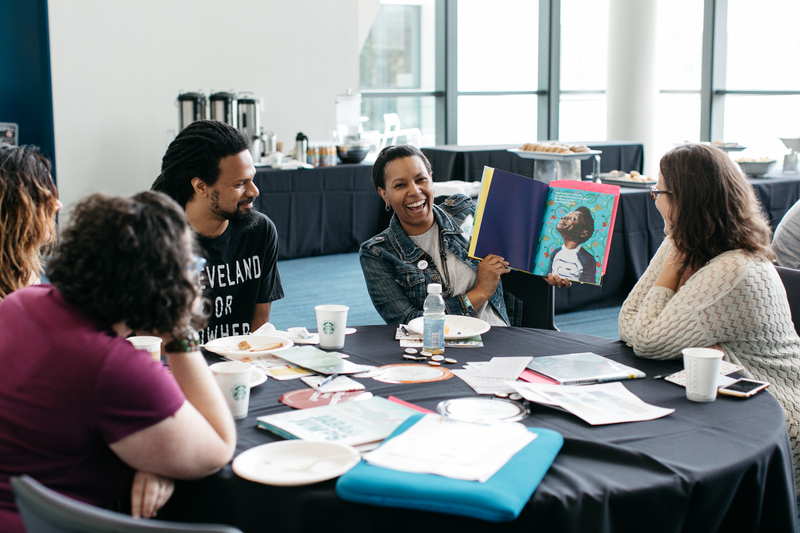 During our conversation, we asked: What picture books have served as mirrors for you, reflecting your own experiences, cultural practices, and home? 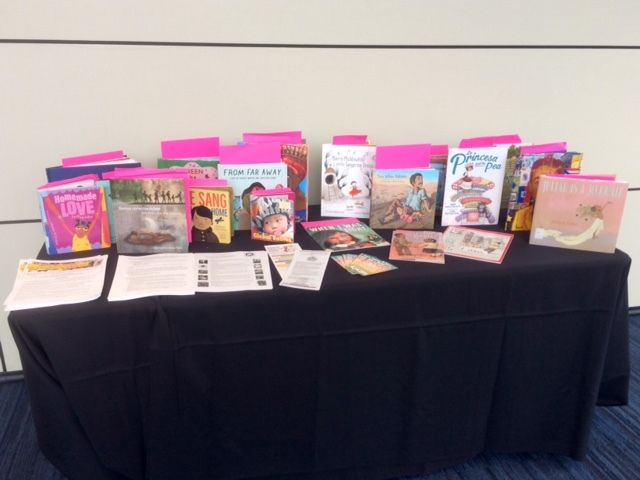 What books have served as windows, teaching you more about others whose lives look different from your own? 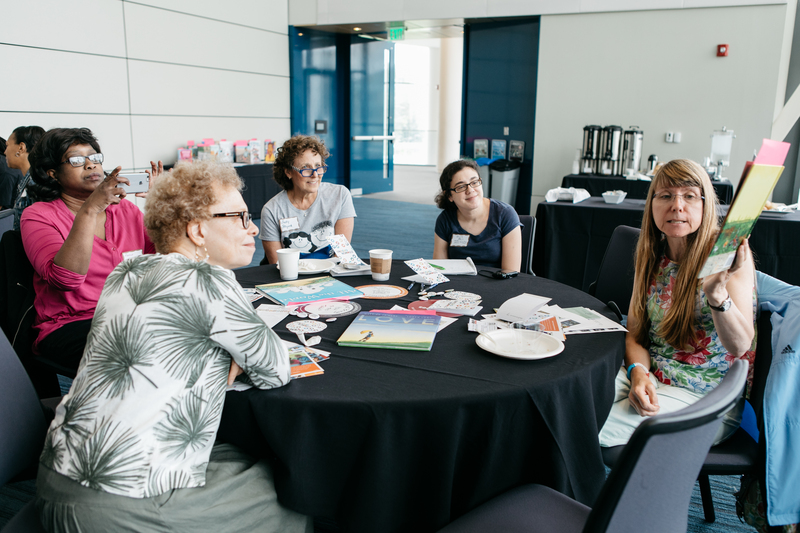 What books have been sliding glass doors, giving you a new perspective and encouraging change? 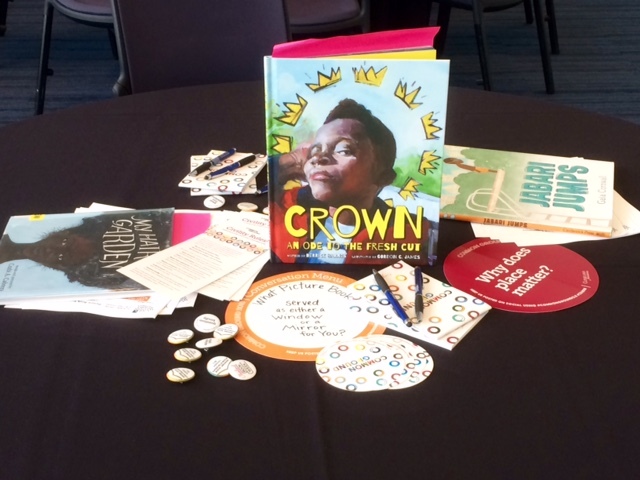 How do we support #ownvoice authors and illustrators and what titles should we bring into libraries and classrooms? 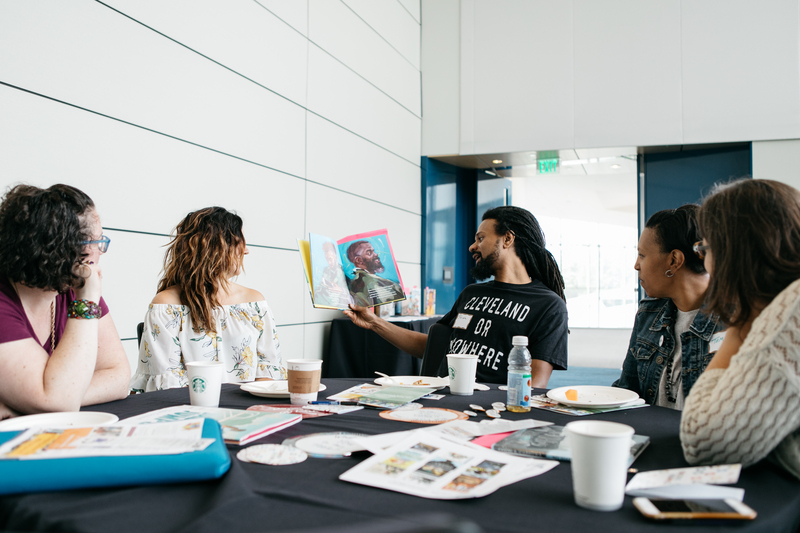 By examining books and learning about community resources (including the Cleveland Public Library and the Cleveland Kid’s Book Bank) over breakfast, we talked about ways to share these picture books in our own homes and in our community. 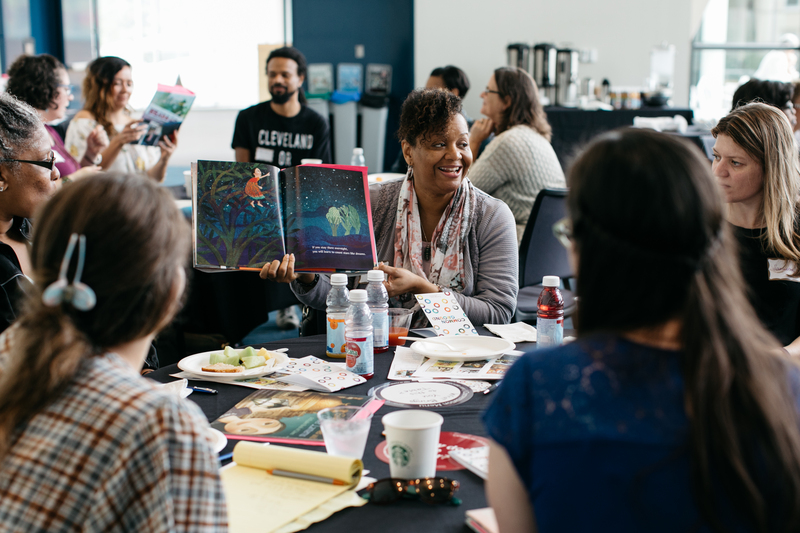 Cleveland Book Week gives us a wonderful opportunity to continue this conversation and celebrate new voices in the picture book genre, as Derrick Barnes and Gordon C. James, the award-winning author and illustrator of Crown: An Ode to the Fresh Cut, will be giving a family-friendly presentation on Saturday, September 29th at 2PM at the Cleveland Public Library’s Louis Stokes Wing Auditorium.